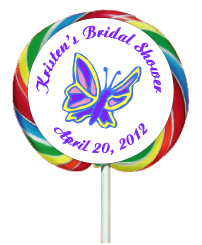 Start planning your bride's dream bridal shower by picking a bridal shower theme. Think about her hobbies and interests, her special relationship with her groom-to-be and what makes her unique. If the shower will be coed, think of a gender-neutral theme. 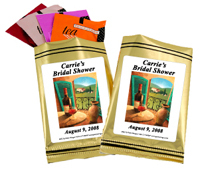 Once you think you know what theme she'd like, consider which bridal shower favors, party supplies and gifts will complement it. 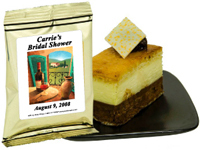 Check out our great wedding shower favor ideas. 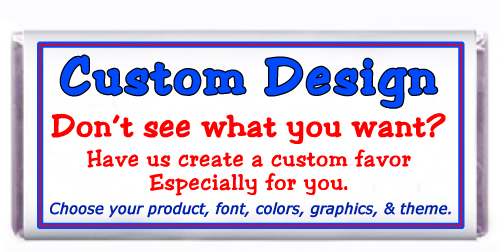 We can also create a custom design using any colors and graphics, at no extra charge. Need bridal shower favor ideas? 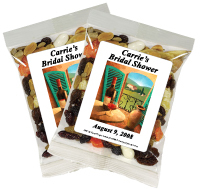 One of the best ways to make a bridal shower memorable is to give unforgettable wedding shower favors. 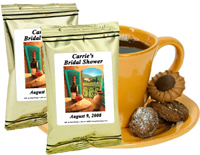 A bridal shower party favors leave a lasting impression every time. 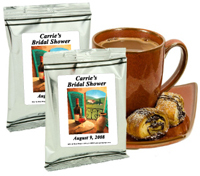 As for picking out the right bridal shower gift, let your special connection with the bride be your guide.